zahra is a mother, organizer, creative and adventure. A project starting, wandering, overlover and outdoor junkie. Currently, she utilizes outdoor adventure, biking, growing food, yoga(ing), and curating space to bring people together. These community organizing efforts are used to enhance physical and mental wellness, economic vitality and environmental stewardship among Black Folks. She sees biking as a tool for communal and individual transformation as well as a means of building and rebuilding whole communities that are abundantly safe, confident, well(thy) and self determining. 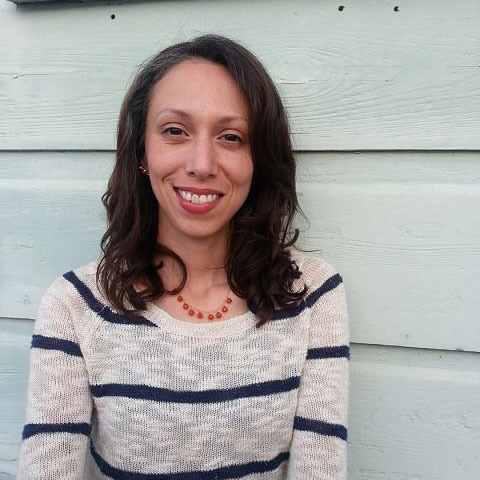 Naomi Doerner is an urban planner and mobility equity strategist based in Seattle. She recently joined the City of Seattle as the first-ever Transportation Equity Program Manager. She provides internal policy leadership and builds community partnerships to expand the accessibility of safe, reliable and affordable mobility options for all. Cultural anthropologist Dr. Adonia E. Lugo started learning about “human infrastructure” (the need for diverse social networks to promote sustainable cultural transformation) through studying bicycle advocacy. Today, she builds human infrastructure as an Untokening core organizer & academic liaison. Adonia teaches in the Urban Sustainability MA program at Antioch University Los Angeles, supports People for Mobility Justice as an advisory board co-chair, and co-produces The Untokening's Transformative Talks series through Pueblo. Her book, Bicycle/Race: Transportation, Culture, & Resistance, was published in 2018. Anthony Taylor is a founding member of the Major Taylor Bicycling Club of Minnesota, a nonprofit social/recreational club that promotes safe and fun cycling geared towards the African-American communities of Minneapolis and St. Paul. He is the Adventures Director at the Loppet Foundation, where he leads the growth and development of efforts to provide opportunities and create passion for year-round outdoor activities and adventures in the Minneapolis area, especially among inner-city youth. Anthony also serves on the Metropolitan Parks and Open Space Commission, the League of American Bicyclists Equity Advisory Board, and the National Brotherhood of Cyclists. René Rivera is a leader and bridge-builder, working and learning in all the spaces in-between race, gender, and other perceived binaries, as a trans, queer, mixed-race maverick bike dork. He has led bicycle advocacy groups for the last 8 years as acting executive director of the San Francisco Bicycle Coalition in 2010 and as executive director of Bike East Bay since then. He is also a long-time meditator and serves as board member and diversity chair at Spirit Rock Meditation Center. Carolyn is the Director of Research and Communications for the Minnesota Housing Partnership, an affordable housing advocacy organization based in St. Paul, MN. She organizes with Grease Rag, a cycling community for femme/trans/women in the Twin Cities, serves on the board of the HOME Line (a tenants’ rights organization), Twin Cities Media Alliance and the core team of Showing Up for Racial Justice MN. Lex describes her work as one of a “Community Switchboard Operator”. Making connections between needs and people is her mission. She owns Down the Rabbit Hole Productions and From Lex With Love & Associates Event Planning where her team focuses on all levels of event planning, coordinating, and décor services. She’s also the founder and curator of Middle Finger to Cancer, a fundraiser to support the Relay for Life which benefits the American Cancer Society, which is in its 5th year. She is a creative professional who specializes in making spaces to support other creative professionals. She is more than an asset to any team, she is an accelerant. Heather Nugen is approaching a decade of daily bicycle commuting. She is the Executive Director Emeritus of Back Alley Bikes and has been providing bicycle mechanic education and advocacy throughout her career in Detroit, including co-organizing the international conference Bike!Bike! and her most recent project, Cyclonauts. A long time user of public transit around the world, she believes that communities are best when they are made for people, by the people most impacted. When she's not riding, she enjoys writing poetry, fiction, and personal essays, and was published in 2017 in the second volume of the feminist zine Les Derailleuses. Heather is currently working on a Master's of Community Development at Detroit Mercy. 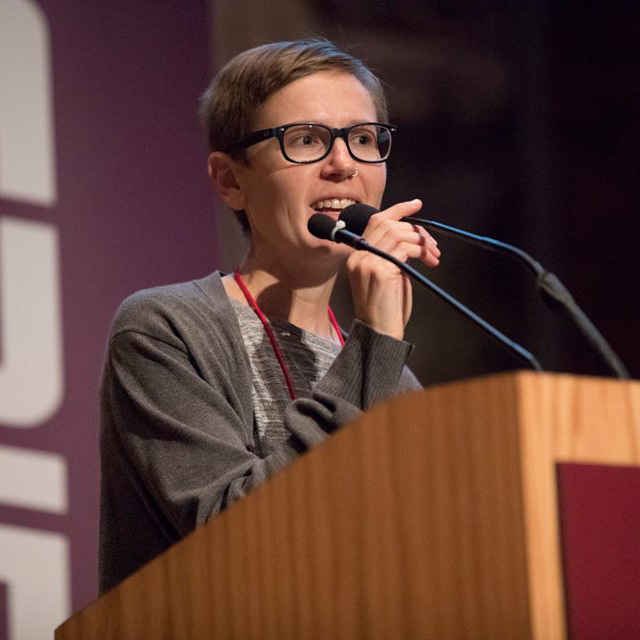 Dessa Cosma is the founding director of Detroit Disability Power, which organizes people with disabilities around issues that impact our lives, while dismantling ableism in the institutions & social justice movements that we are a part of. Dessa has been fortunate to spend her career working on behalf of racial, gender, economic and disability justice. Shavon N. Edwards works in the ecosystem of Mobility & Innovation and Public-Private Partnerships. Her passion is serving her community by making them the center and focus of her work. She now works as a Mobility Strategist in the City of Detroit Office of Mobility Innovation where she specializes in the creation and implementation of solutions for mobility challenges Detroit residents have getting to and from work. Shavon is a resident of Detroit’s Lafayette Park and has previously worked in politics in the Detroit and Ann Arbor areas. Bree Gant is a multidisciplinary artist from Detroit exploring Black femme adornment, ritual, and emergence. Since graduating from Howard University in 2011 with a BA in Film, Gant has traveled as a fashion, portrait, and street photographer. She has also won a Knight Arts Award and Detroit Narrative Agency Film Fellowship, and regularly speaks at artist talks and panels about mobility, image-making, and contemporary art. Gant is currently a Teaching Artist in Residence with Project Art, and producing and directing a series of short experimental films about care, dance, and power. Ani Grigorian works between the intersection of Geriatric Social Work and Community & Systems Design. She is passionate about using universal and inclusive design to build smart mobility infrastructure with an equity, access, and aging lens. Currently, she is a consultant for Ford Motor Company (Ford Smart Mobility LLC) operating an accessible mobility service solving some of healthcare's most pressing mobility challenges. Ani is a resident of Detroit's Virginia Park neighborhood and has previously worked in housing and homeless recovery spaces across Detroit and the Metro Detroit areas. Tiffany Gunter is the Assistant City Manager for the City of Birmingham, Michigan. Tiffany supports the City Manager is running the day to day operations of the municipality and providing strategic recommendations to improve citizen satisfaction. Ms. Gunter previously served as the Deputy CEO and Chief Operations Officer for the Regional Transit Authority of Southeast Michigan. Ms. Gunter supported the CEO and the Board of Directors in organizing the effort to improve regional transportation and secure dedicated funding for the RTA. She served for one year as Interim CEO at the request of the Board. Prior to joining the RTA, Tiffany served as an Executive Dean of Inter-Institutional Affairs and Educational Partnerships at the Wayne County Community College District, where she provided support to the District in development of relationships and partnerships that strengthen institutional programs, resources, and networks. Tiffany earned a Master of Public Administration and Bachelor of Business Administration, both from the University of Michigan–Dearborn. A native Detroiter, Tiffany is passionate about improving public transportation and understands the challenges of the area agencies and continues to work to identify solutions. Kenita Harris works on the team of Jefferson East, Inc, providing operational and financial management support to its non-profit and for-profit development company, East Jefferson Development Corporation (EJDevCo). JEI & EJDevCo serves the east Jefferson business corridor and its five adjacent neighborhoods through providing neighborhood support services as well as real estate and economic development implemented through its inclusive development principles. Kenita also serves on the ministerial staff at Detroit Bible Tabernacle on Detroit's west side. As a result of her work at Jefferson East, Inc., Kenita is now in her last yer at the University of Detroit-Mercy where she is pursuing a Masters in Community Development with an emphasis in economic development. Amanda is a local resident with an ever increasing desire for equity. She's studying for a Master in Public Administration at Wayne State University, and works at United Way for Southeastern Michigan with federal nutrition program implementation for children. Amanda is on the steering committee for Dream of Detroit, an initiative to stabilize and empower residents in a Detroit neighborhood, and has been active in refugee settlement in the Southeast Michigan area. Following an bicycle/vehicle accident in 2017 that hospitalized her for months, Amanda's focus honed in on mobility justice, utilizing and gaining knowledge in how race, ability, and class affect transportation options in Southeast Michigan. Amanda enjoys traveling abroad, and has spent extensive time in the Middle East. She is an avid reader and particularly enjoys books about history, religion, and philosophy. She is a soccer fanatic and if Detroit City FC is playing, you’ll know exactly where to find her. Cultural anthropologist Dr. Adonia E. Lugo started learning about “human infrastructure” (the need for diverse social networks to promote sustainable cultural transformation) through studying bicycle advocacy. Today, she builds human infrastructure as a core organizer of The Untokening. 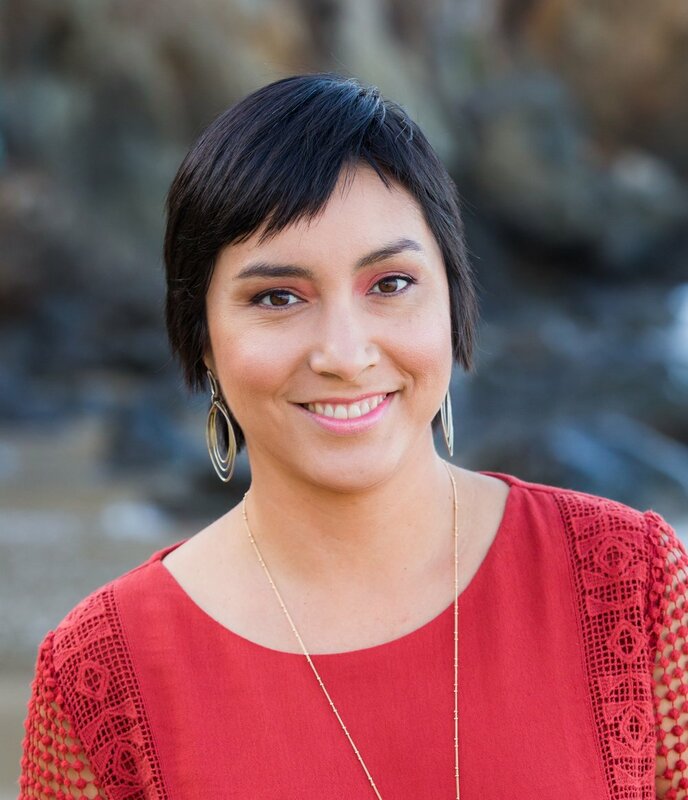 Adonia teaches in the Urban Sustainability MA program at Antioch University Los Angeles, supports People for Mobility Justiceas an advisory board co-chair, and co-produces The Untokening's Transformative Talks series through Pueblo. Her book, Bicycle/Race: Transportation, Culture, & Resistance, was published this year. Sarah Rebolloso McCullough, PhD is the Associate Director of the Feminist Research Institute and co-founder of Bicicultures. She is passionate about bringing the insights of feminism to bear on new research fields, and inciting transformative research motivated by community needs. She is currently working on a book on privilege and pleasure in the origins and growth of mountain biking and a white paper on the importance of sociocultural research for active transportation. Holly has spent most of her career working to transform public health systems and programs to become more equitable. She believes that health and well-being in communities of color will only be achieved through explicit analysis and measurable action to address racism. Most recently, she worked at the Safe Routes to School National Partnership where she nudged partners and colleagues to not only champion access for safe places to walk and bike to achieve equity, but to also prioritize racial justice as an important part of equity work. Holly holds a Bachelor of Science degree in Kinesiology from Michigan State University and a Master of Public Health degree from the University of Toledo. Her passion work is creating spaces, places, and exchanges where people of color feel like they belong. In her free time, you can find Holly riding her bike through the streets of Kalamazoo and spending time on the shore of Lake Michigan. Jeffrey is the Special Advisor to the Democratic Lt. Governor Candidate for the State of Michigan and a Senior Airman in the Michigan Air National Guard and U.S. Air Force. Previously, he served as the Mobility Specialist for the Planning and Development Department at the City of Detroit, Mobility Program Manager at Metro Matters, and Policy Analyst | Community Advocate for Detroit City Council Member Raquel Castañeda-López. Jeffrey is a Detroit Revitalization Fellowship and AmeriCorps alum and earned his Master of Public Administration degree from DePaul University's School of Public Service and his Bachelor of Fine Arts degree from Bowling Green State University. He lives in Detroit, MI. Jared is the Senior Policy Advocate at the California Bicycle Coalition. He has a background in policy research, rooted in social justice, that connects to grassroots power to achieve transformative policy goals. His work at CalBike focuses on building connections with community-based justice-centered organizations across California, and connecting bicycling, and sustainable transportation more generally, with intersecting issues such as housing, climate, and environmental justice. Prior to CalBike, Jared worked in the social justice research space for 10 years focusing on issues of immigrant integration, regional equity and racial desegregation. Myra M. Tetteh is a native Detroiter. Ms. Tetteh is an alumna of the University of Michigan with an undergraduate degree in Political Science and Sociology, as well as a Master of Public Policy. Currently, Ms. Tetteh is a doctoral candidate at the University of Michigan School of Public Health in the Department of Health Behavior and Health Education. Ms. Tetteh was the Detroit Food and Fitness Collaborative (DFFC) Active Living Work Group Co-Chair (2014-2017) and the Detroit Complete Streets Coalition Coordinator (2010-2017) for the DFFC. In the latter role, she facilitated coalition meetings between over 15 representative organizations (including, American Association of Retired Persons (AARP), a wheelchair advocacy organization, community-based organizations, and municipal departments), coordinated events to educate the community and policymakers on complete streets, participated in drafting a complete streets ordinance (yet to be codified), and communicated regularly with coalition members and policymakers. Though these formal roles have ceased, she continues to advocate for complete streets and mobility for all residents in the city of Detroit. Currently, Ms. Tetteh is a Mayoral Appointee to the city of Detroit Parks and Recreation Commission and serves on the city of Detroit East Jefferson Advisory Committee.